This test is suitable for the concrete having low to very low workability . This is a good laboratory test to measure indirectly the workability of concrete . In this test consist of a metallic mould in the shape of frustum which placed over the vibrating table . 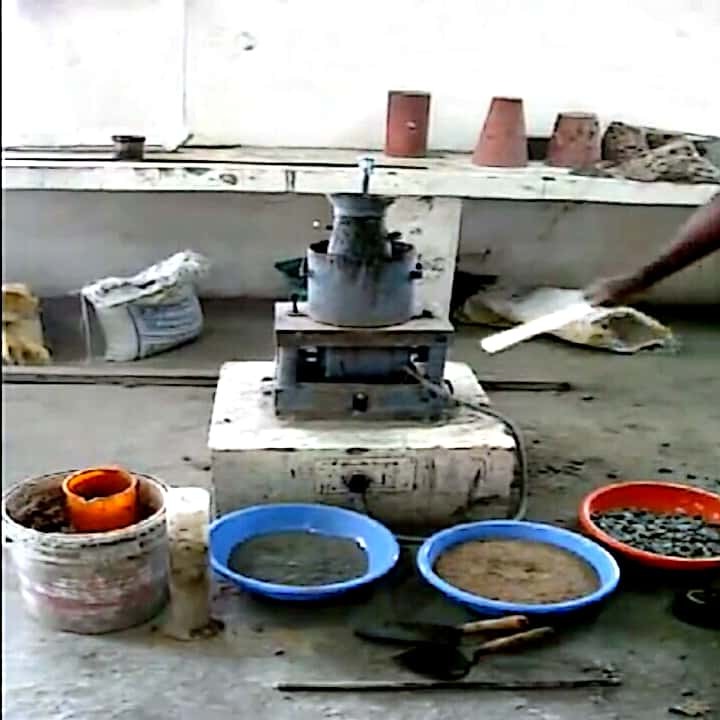 Concrete to be tested is filled in the mould in two layers and when it is completely filled mould is removed along with the sub -sequential initiation of the vibration. Time required to concrete to assume the cylindrical shape is then noted which is referred as Vee Bee degree and is used to represent the workability of the concrete . This test is not suitable for the concrete having slump value greater than 50 mm .